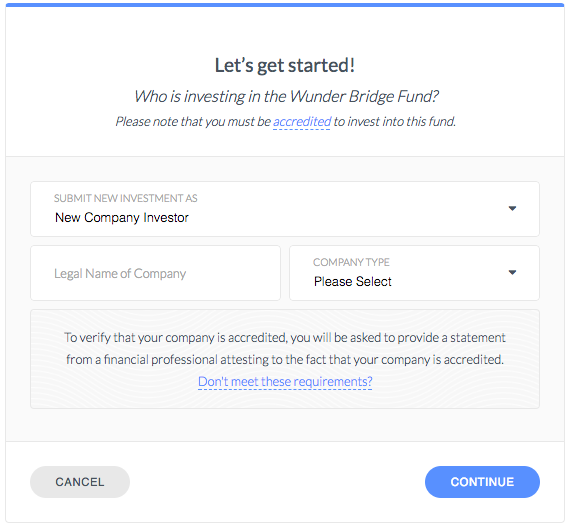 We're excited to announce that starting today, investments can be made into Wunder solar funds from Trusts and Companies! You can now invest as little as $1,000 from an Irrevocable Trust, Revocable Trust, Living Trust, LLC, C-Corp, S-Corp, or Partnership. In the past, there had been a $200,000 investment minimum for Trust and Company investments, due in large part to the ad-hoc, offline process they required. Our engineering team has been hard at work to eliminate this minimum and bring these investments online, resulting in a nearly identical online investment process to that of individual investors'. 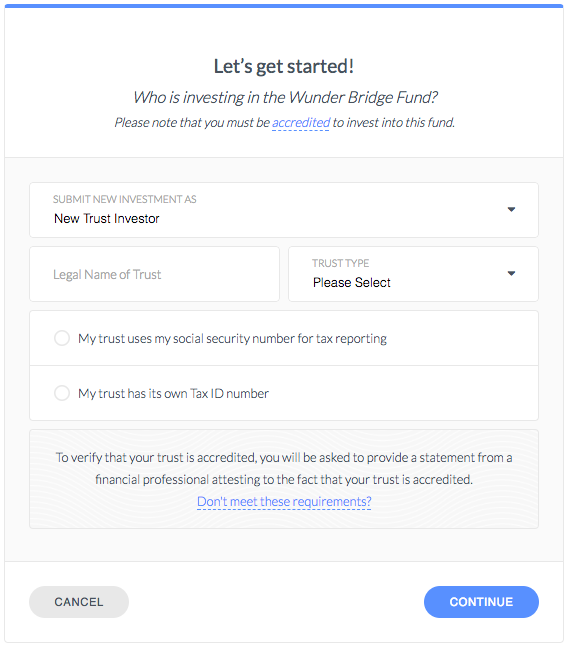 If you have any questions, please feel free to reach out to invest@wundercapital.com. As always, you may still invest as an individual or from a self-directed IRA.